ALavandhAr says just like bhagavAn‘s auspicious qualities are countless, each quality in itself is boundless. By reciting “thE yE Satham” (such hundred) repeatedly for more and more brahmAs, vEdha vAkyams (sacred sounds/hymns) are always focussed on imagining new brahmAs, desiring to see the boundary of your each quality, have not moved forward crossing over the starting stage. abjabhuva: uparyupari thE yE SathamithyanukramAth pUrushAn prakalpya: – Being born in the divine naval without separation, on top of brahmA who learned [vEdham] directly from him [bhagavAn], placing that brahmA at the level of a human being, in the manner of thaiththirIya upanishath Anandhavalli “thE yE Satham” (the bliss of such hundred persons together) starting with the bliss of such a human being and increasing the bliss to another brahmA, and repeating the same with many imaginary brahmAs of great potential [by multiplying the bliss 100s of times at every step]. Ekaika guNAvadhIpsayA sadhA sthithA gira: – The sacred texts which are always existing and desiring to see the boundary [ultimate state] of Anandha guNam (bliss). 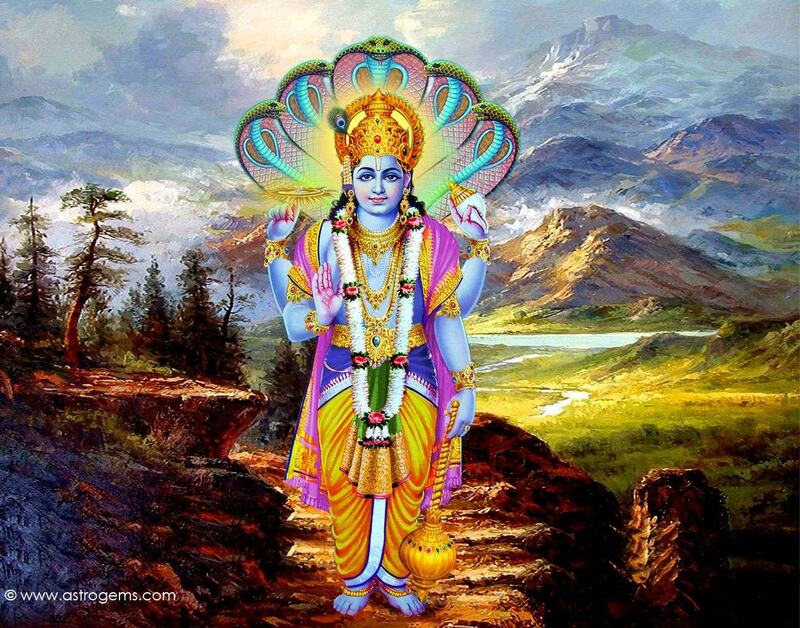 By saying “Ekaika (Eka Eka)” (only one), it implies bhagavAn‘s features like his youth etc which brings about bliss. “sadhA sthithA gira:” also indicates the nithyathva (eternal) and apaurushEyathva (author-less) nature of vEdham. Since “gira:” (sounds/hymns) is used instead of saying vEdha akshara rASi (collection of letters), as said in SrIvishNu purANam 1.5.63 “… vEdha SabdhEbhya EvAthau …” (brahmA named the creatures starting with dhEvathAs, their forms, and explanations for vaidhika activities [by learning them] from the words of vEdham), even laukIka Sabdhams (worldly words) are derived from vaidhika Sabdhams (scriptural texts) only. How did they [hymns/texts] see the qualities of bhagavAn? nOdhyamadhO’thiSErathE – While they ventured into the qualities of bhagavAn, they could not move a step forward. thaiththirIya upanishath Anandhavalli 8 – Starting with “saishAnandhasya mImAmsA bhavathi” (the bliss of brahmam (bhagavAn) is analysed here) and goes up to “sa EkO brahmaNa Anandha:” (This is brahmA’s bliss). As said in thaiththirIya upanishath Anandhavalli 8 “yuvA syAth” (Let him be a youthful man [as the texts are trying to analyse the bliss from the best possible starting point]), the youthful nature is attributed to the svarUpa (true nature) and guNams (qualities); it can also indicate the thEjas (glow) acquired by the youthful nature. adhyAyaka – gyAnam (knowledge); ASishta: – Sakthi (power/capability); dhradishta: – vIrya (bravery); balishta: – balam (Strength); thasyEyam – aiSvaryam (wealth/opulence). SrIvaikuNta sthavam 51 “thrayyudhyathA thava yuvathvamukhair guNaugai: …” (vEdham tried to explore your bliss which was nourished by your countless qualities such as youth etc and measured it saying “thE yE Satham” (hundred times of that) and declared loudly “he cannot be comprehended by the mind and speech”). and so on. nAthiSErathE – [but] the ability to cross over is not present. This entry was posted in Other, sthOthra rathnam on January 1, 2017 by Sarathy Thothathri.